A popular 22-year-old who had “hundreds of friends around the world” has died after falling from a balcony in Spain. Monique Williams was on holiday in Magaluf, in Majorca, with sister Lisa and four friends. They had two adjacent rooms on the fourth floor of a hotel complex. Around 11pm last Monday the friends returned to their rooms to change before going out. Monique tried to climb across to her friends’ balcony, but it had been raining and she slipped and fell. She was certified dead at the scene. Monique’s sister Sharon, 32, and brother Gary, 33, are said to be “devastated”. The family are Jehovah’s Witnesses. Through its world-wide network Monique, a former pupil of Parkway Middle School, in Haverhill, had made many friends. Lisa, through tears, said: “She loved people. She was a complete bundle of energy who crammed 50 hours into a 24-hour day. We had such an amazing bond. I don’t know how I’ll go on without her. The family were dealt another blow this week when their insurance company refused to pay for bringing home Monique’s body. The Croydon-based underwriters claimed Monique had subjected herself to “wilful exposure an exclusion clause included in the company’s small print. But after this was reported in our sister paper, the Cambridge Evening News, the company had a change of heart. Elvia Travel Insurance, will now pay the £2,500 cost after Mondial Assistance, the insurance company’s medical arm had refused to settle. Elvia Travel intervened and referred the matter to Jon Cooper, its trading manager. Mr Cooper, who spoke to the family on Monday, decided to make the payment as a gesture of sympathy. He said: “Most policies on the insurance market will have a variety of conditions which relate to the insured exposing themselves to needless risk. Ours was no different. “My thoughts on this particular case were the family are facing a difficult time and we don’t want to add further to their angst. Monique’s dad was “very pleased” with the insurer’s decision. 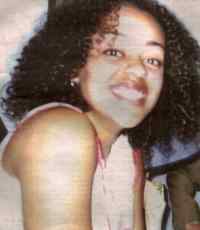 Caption: Tragic end … Monique Williams who fell from a fourth floor balcony.